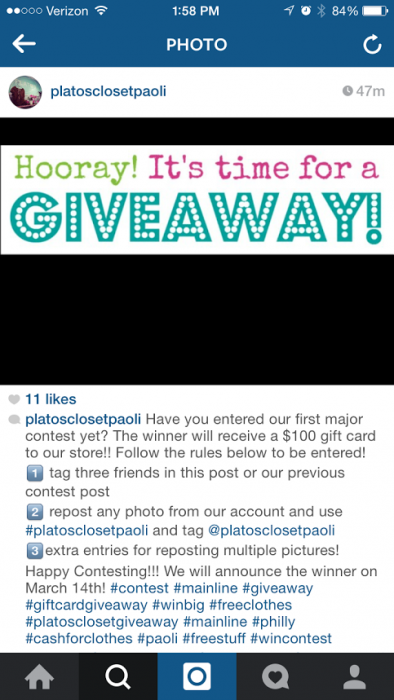 You have up until March 14th to enter the Plato’s Closet giveaway. Do you have an Instagram account? Then you are practically already entered to win a $100 gift card. Simply follow Plato’s Closet Paoli on Instagram (Username: platosclosetpaoli). Then follow the instructions below. Winner will be announced on March 14.